UK Poker News is on the trail of the future poker stars from these lands. We often report on the successes of the established professionals but a healthy industry nurtures its future prodigies too. In this, the first of an occasional series on the emerging talents from the UK and Ireland, we take a brief look at Kevin O'Leary, also known as "Lovejoy" in recognition of a past interest in antiques. Your writer first witnessed Kevin O'Leary at work when standing at the rail of the final table of the £300 No Limit Hold'em Freezeout in Brighton, at the Summer Breeze Festival in July 2005. O'Leary was already well "chipped up" and, to be frank, never looked like relinquishing his position. Here was a man in command and first place was eventually secured, earning him £12,000 into the bargain. This success followed a decent-looking series of final table appearances at top tournament events at the Luton Grosvenor earlier in the year. Following Brighton, the upward pressure was building and, a mere month after the Summer Breeze success, O'Leary had secured a 5th placed finish in the £5,000 VC Poker Cup in London, a high-stakes made-for-TV tournament, and pocketed a cool £25,000 for his efforts. This was a big step up from earlier tournaments, an achievement given perspective by the quality of the field that finished above him, including Tony Bloom (the winner), Ben Roberts (who has since claimed the runners-up spot in the 4th Annual Five Diamond Classic in Las Vegas), and Norwegian stalwart, Jan Sjavik. Meanwhile, Xuyen "Bad Girl" Pham was relegated into 6th position. A third-place and a £4,000 prize at the £300 Main Event in Southend-on-Sea in September might have seemed almost anti-climactic after those dizzy heights, but the money all helps, especially if your plans include a visit to the other side of the world - specifically with an eye on the Aussie Millions and it's A$10,000 Main Event! At the end of Day 2 (yesterday) of this event, in which 418 hopeful players had entered, O'Leary found himself sitting in 59th out of a remaining 83 players. 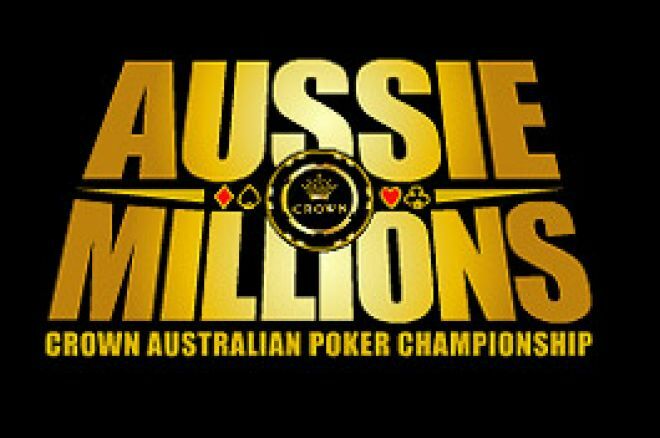 Yet this was little more than a double-up away from the top 25 spots, at that point occupied by the likes of Willie Tann, Tony Bloom (2004 Aussie Millions winner), Michael Gracz, Antonio Esfandiari, Phil Ivey and Scott Fischman. Earlier today, at the start of Day 3, O'Leary was drawn on the same table as WSOP 2005 Champion and local hero, Joseph Hachem. Both were eliminated before the top 48 paying places, but one thing seems certain; the phrase "up and coming" may have to be used in the past tense when judging the future valuation of Kevin "Lovejoy" O'Leary. Ed note: Experience some 24h Poker and collect a &euro;200 bonus.